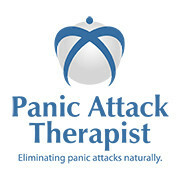 How to Help Someone Having a Panic Attack. Would you know what to do? An attack is a terrifying thing. If one of your friends, co-workers or loved ones experiences a panic attack, remember that you can be in a position to be a great comfort to them, if you just understand that what they are going through is far more intense than you can likely imagine. All people are different and what works for one person may not work for another. Follow the advice in the video and, if the sufferer is a friend, have a chat with them and find out what they find comforting. If the sufferer is not receiving any therapy, ask him to look at this programme.